Spending the holidays at a ski resort is a great way to celebrate winter and spend time with friends and family. However, it can also be a madhouse. To maximize your fun (and minimize frustration), here are tips and tricks to win the slopes. If you’re dreaming of a white Christmas, there’s nothing quite like spending the winter holidays at a ski resort. With days on the slopes and evenings spent around a roaring fireplace, it’s a trip that will provide a lifetime of memories. However, there’s one little problem: A lot of people probably had the same great idea. Holidays are peak times at ski resorts because everyone has the same vacation time. This can translate to longer lift lines, more people on the runs, pricier accommodations, and a crowded après scene. 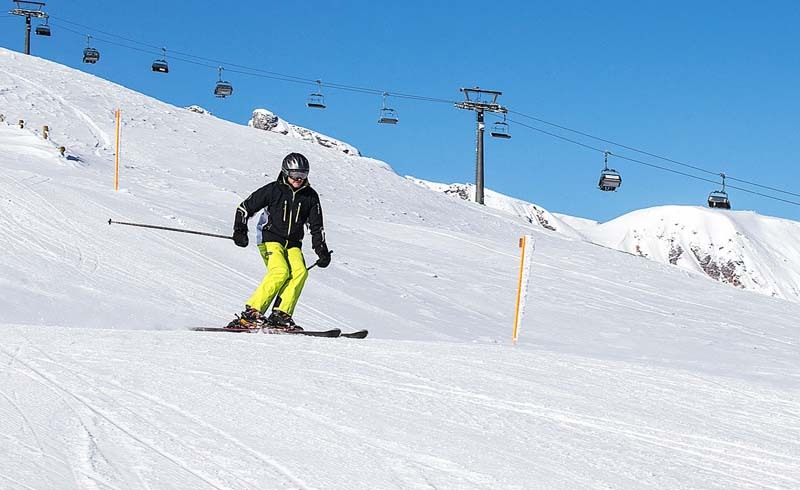 However, with just a bit of pre-planning and some savvy decision making, you can enjoy a picturesque winter holiday on the slopes, stress-free. One of the frustrations during busy times on the slopes is standing in line: for lift tickets, to access the chairlift, for lunch, for just about anything. Planning—and buying—in advance can help alleviate this problem. 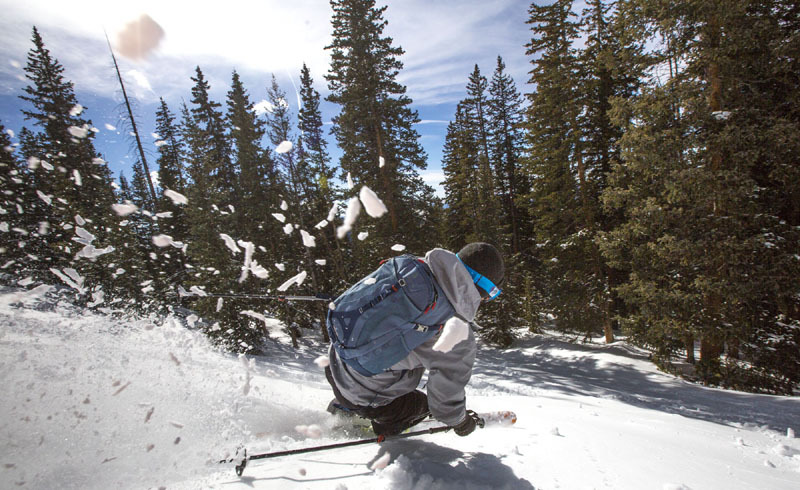 You can purchase lift tickets ahead of time at a discount, saving money and time. Planning on skiing several days, or visiting a couple of resorts? Ski passes like Vail Resorts’ Epic Pass or the Mountain Collective allow you to visit several resorts and ski multiple days at a discount. Everyone wants to start their vacation as soon as possible, so it makes sense that ski resorts in closest proximity to a city are also going to be more crowded. As a result, choosing a resort that may be a bit farther away from the city, or require more effort to access, will pay off with fewer crowds. For example, destinations in Colorado like Crested Butte, Steamboat, and Telluride are located farther away from Denver, even though they are accessible by smaller regional airports. As a result, they’re often significantly less crowded than the resorts near Denver, like Winter Park or Keystone. Though it may take additional time to get there, you’re going to reap the rewards with shorter (if any) lift lines and less crowded slopes. Once you get to the mountain, your location there is important, too. Most people tend to congregate on the front sides of the mountain and at the bottom. Get high fast: By making your way to the upper reaches of the mountain, the back bowls, or more advanced terrain, you’ll be able to avoid the majority of the crowds. As with most things in life, picking your moment is key at ski resorts. The best way to navigate crowds is to avoid them altogether. Though the lifts may open at 8:30 or 9 a.m., most people have a vacation mentality and don’t start their day until 10 a.m. or later. If you’re one of the first people in line, you can choose your route and make your way away from the base area crowds, straight to the fresh tracks. Another key time for turns is during lunch: Pack a snack in your daypack for the lifts and keep on carving while everyone else is filling up on pizza and burgers. You’ll enjoy fewer crowds and can start your après celebrations a bit earlier. If you’re visiting on Thanksgiving, Christmas, or New Year’s Day, consider celebrating on the slopes. Many people sleep in on the holiday, but if you ski first and celebrate later, you’ll receive an extra gift of less congested runs. These are just a few tips and tricks for navigating the crowds at a ski resort over the holidays. However, here’s the ultimate trick: Just remember that a busy day at the ski resort is still better than any day being in the office. You’re on vacation! Take a moment, look around, appreciate the spectacular scenery, and enjoy the people around you. It’s truly a winter wonderland, even with several hundred other people on the snow. Have you spent the holidays at a ski resort? Let us know your tips and tricks in the comments below!